"Farview Farm" Quint, Cozy & Spacious describes this Country style farmhouse nestled on 1.10 Acre. 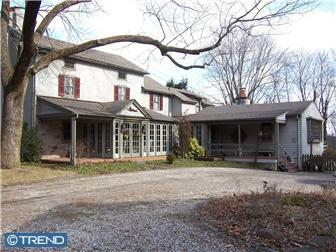 “Farview Farm” Quint, Cozy & Spacious describes this Country style farmhouse nestled on 1.10 Acre. 4 bedrooms, 2.1 Baths, 3 fireplaces, large family/game room accented w/ a fireplace, wood floors, window seat, fabulous views & French doors to the deck & pool, eat in Kitchen & walk in pantry, living room & master bedroom are both accented with a fireplace & wood floors, 3rd bedroom offers a bath & back staircase entry, Heated Sunroom, Country Kitchen, wood floors, loads of charm & original millwork throughout, pool, barn, 2 staircases, circular drive, entry w/ brick floors & French doors, 3rd floor bedroom suite includes office/den or 5th bedroom. Come & feel the warmth. Mins. from Center City. Jane is a 20+ year Marketing Veteran of Luxury Estates, Manor Homes, & Classic Pennsylvania Farm Houses specializing in the Philadelphia Area, Montgomery County, & Bucks County.